Egypt’s second sphinx FOUND? Ancient statue discovered during ROAD WORKS. Egypt may be associated with ancient times, ancient rulers, and ancient gods, but it is a modern country, expanding just like any other. However, workers on an Egyptian infrastructure project this week had to halt proceedings as they stumbled across a sphinx-like statue, which goes to show that whether you like it or not, in somewhere like Egypt you are literally tripping over history at every turn. Work on the Al-Kabbash Road project, linking the temple complexes of Luxor and Karnak – which date back to around 1400 BCE, when Luxor was known as the ancient city of Thebes – is due to be finished later this year. However, the discovery of the statue has brought a temporary stop as the statue cannot currently be moved. Archaeologists want to preserve the statue without taking any unnecessary risks, so it will stay where it is for now. However, if it really does have the body of a lion and a human head, similarities to the famous Egyptian mythological sphinx are clear, which means it would have been commissioned by someone very important from that time. In ancient Egypt, the sphinx was considered a symbol of royalty, with many pharaohs having their likeness carved on to the body of a lion-esque creature to symbolize their close relationship to the solar deity Sekhmet, who, like many of the ancient Egyptian gods had an animal form, in her case, a lioness. The most famous sphinx statue, of course, is the one that stands guard over the Great Pyramids at Giza. Thought to be built by Pharaoh Khafre, as he was ruler at the time of construction, around 2550 BCE to 2450 BCE, it measures a whopping 73 meters (239 feet) long and 20 meters (65 feet) high. It is also the oldest and largest known monumental sculpture in the world. Unfortunately, this new discovery is not the famous rumored “Second Sphinx” that many British tabloids have reported on for sensational effect (the headlines are exactly what you’d imagine). First of all, a few sphinxes have been found over the years in this area thanks to its proximity to the Valley of the Kings just 6 kilometers (4 miles) away. 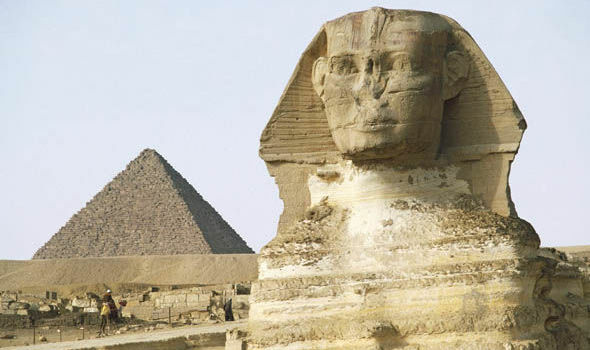 Secondly, the rumored “Second Sphinx” – since they usually appear in pairs, next to or opposite each other – which was apparently mentioned by the ancient Egyptians, Greeks, Romans, and Muslims was thought to have been built on the opposite bank of the Nile to the Great Sphinx, placed there to represent the dividing line between Northern and Southern Egypt. However, this find is still exciting, as is any that helps fill in the details of the ancient Egyptian Pharaohs and their civilizations.